- To deepen the knowledge of birds and their habitats within Urdaibai Biosphere Reserve. - To establish tools for the protection and conservation of singular birds and habitats within the Urdaibai Biosphere Reserve. - To promote measures to manage the singular ecosystems within the Urdaibai Biosphere Reserve. - To develop measures to protect and preserve the habitats of the Reserve in collaboration with land owners, by means of agreements to land stewardship. - To involve the general public to the activities of the center and bird research, in order to bring them closer to the natural environment and increase their awareness of nature. - To conduct training activities on several levels of knowledge. - To exchange information and collaborate with other centers which bear similarities to Urdaibai Bird Center, either because of the way they work or because of their location close to wetlands situated along the East Atlantic Flyway or the Western Palaearctic Flyway. - To attract researchers from other areas who may contribute to the development of projects in Urdaibai thanks to their knowledge and experiences developed in other regions of Europe or Africa. - To develop collaboration frameworks with universities, allowing students from technical degrees to participate in research and development projects. - To promote the adaptation or development of new technologies for the study of nature in general and birds in particular, in collaboration with companies or entities in this field. 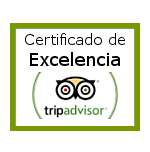 - To promote the ornithological and environmental tourism that is respectful with the environment of Urdaibai Biosphere Reserve, and promote the development of infrastructures or equipments that will facilitate or enrich ornithological and environmental tourism.